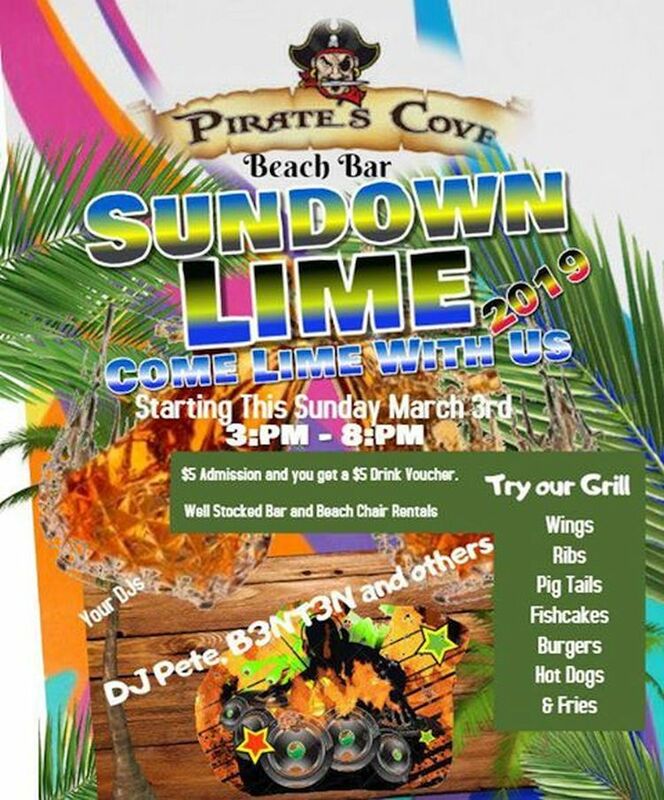 Pirates Cove Beach Bar is inviting you to its Sundown Lime. 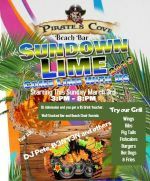 The Beach Bar parties on Sundays from 3pm - 8pm with DJ Pete, B3NT3N and Guest DJs who will play a wide variety of music. Admission: Bds $5.00 - includes a $5 Drink Voucher.